Paper bows are an easy, fun, and high-impact element to add to any project. They create a festive beautiful feel and are versatile enough for scrapbook pages, cards, altered projects, and gift packaging. 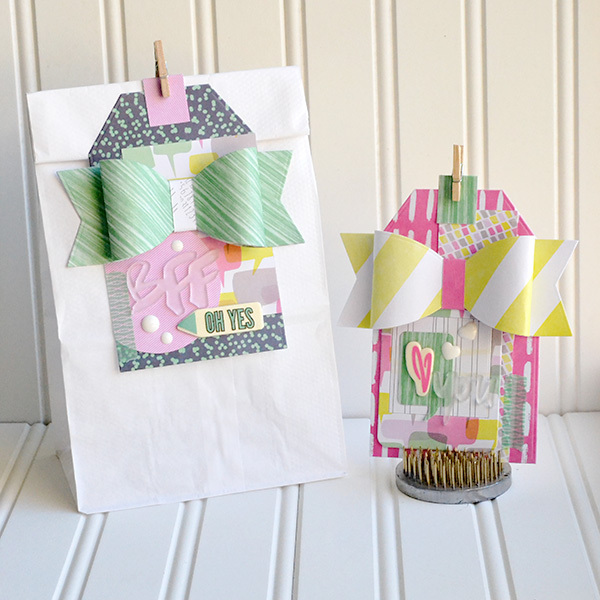 Using the Gift Bow Die makes it easy to add beautiful paper bows to your projects. Check out these Paper Bow Gift Tags I created for the We R Memory Keepers blog using the It Factor collection. For a full supply list and tips for assembling the paper bows, visit the We R blog HERE.